When organizing a party, you’ll almost certainly have a budget in mind. Naturally, you will want your champagne to be of suitable quality without breaking the bank. That in mind, this article aims to help guide you in a savvy fashion through the plethora of choices open to you. Let’s not make the assumption that the price reflects the quality. A cheap champagne is perfect for those who want to enjoy a night of partying without compromising the quality of their drink. Having a certain label does not always mean much, for many supermarkets’ own brand varieties use the same grapes as top label alternatives. However, for this article we’ll have a look at three cheap champagnes in particular. The three in mind are the Taittinger Reserve Champagne Brut, Heidsieck Monopole Champagne Brut and André Carpentier Champagne Brut. These are all similarly priced at around £27 per bottle and suitable for various aspects of your party. For reading pleasure, “brut” refers to dry champagne. The Taittinger is an ideal aperitif, something to serve before your meal to get everyone’s taste buds woken up and ready to go. The main grape used here is Chardonnay; often found in the mot expensive of champagnes. Due to this, the drink will have a light citrus and fresh feel to it. Very agreeable to the taste and easy to drink. After your aperitif is served the next port of call is the Heidsieck. Again, the Chardonnay grape is heavily involved here giving the crisp, light feel. 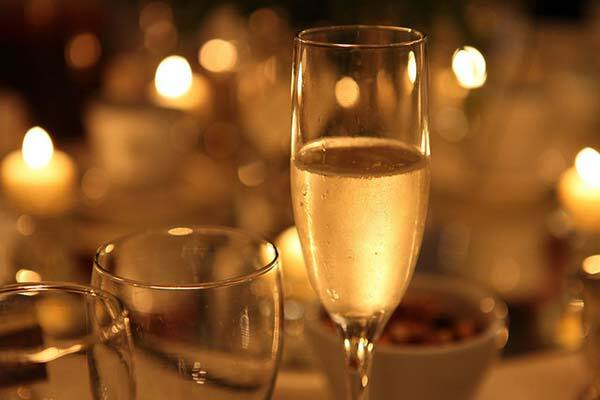 This champagne will go with almost any food or meal at all, making it perfect for your party! Most like to save the best to last, the case is no different with the champagne. The André Carpentier is perhaps one of the best party champagnes available, beautifully made and light. This can be served on its own or with some party nibbles! These are but a few examples of choices for your party. The range of choices is many, but the message is consistent throughout: you can go for cheap champagnes without sacrificing quality. All that’s left for you to do is find the right ones for you!